This series of collaborative works explores the way the surface of the ocean functions as a threshold between the earth and sky, and what occurs beneath that threshold. 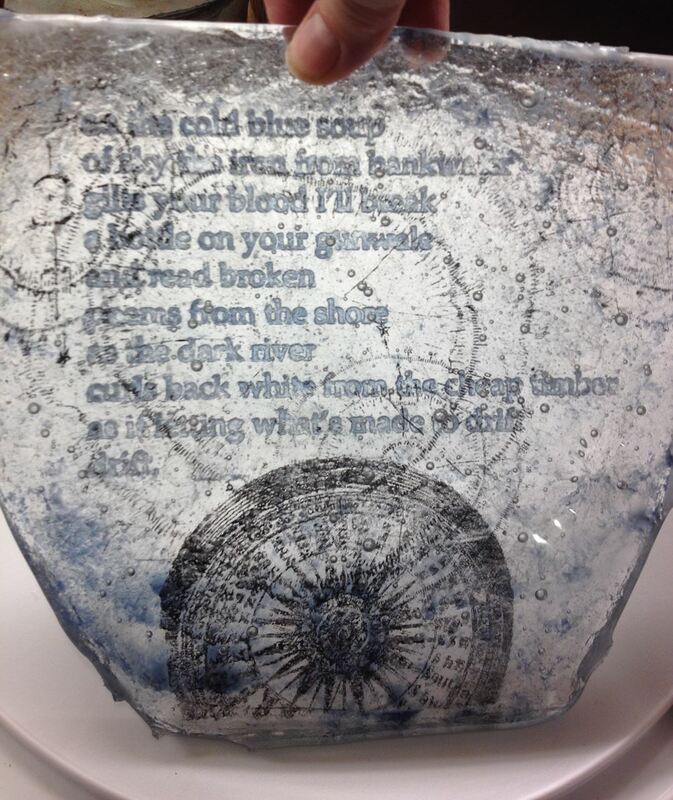 Our research on shipwrecks and maritime archeology has informed the imagery and text within the glass forms. 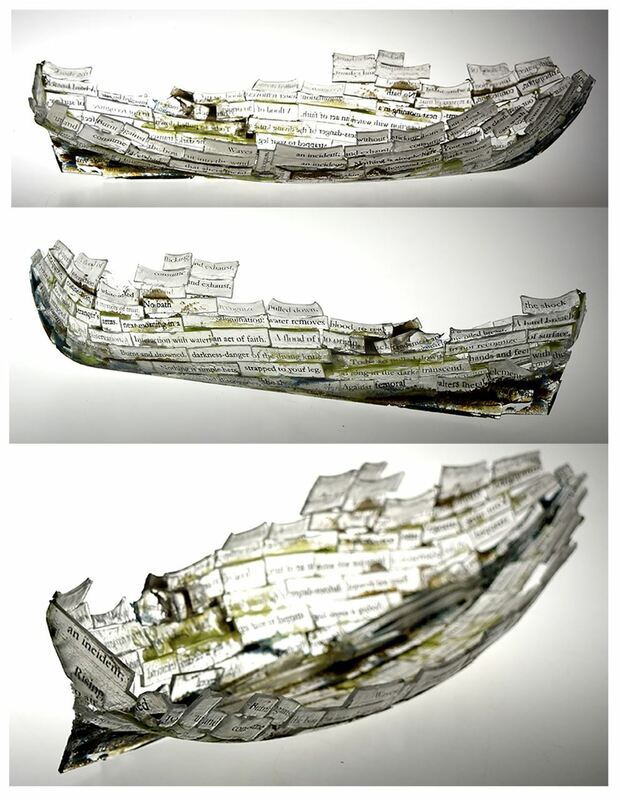 We are interested in particular in how a shipwreck is emblematic of an epic transformation and a metaphor for the self. By bringing the wreck to the surface it is transformed again while still retaining marks and memories that remain within each new form. 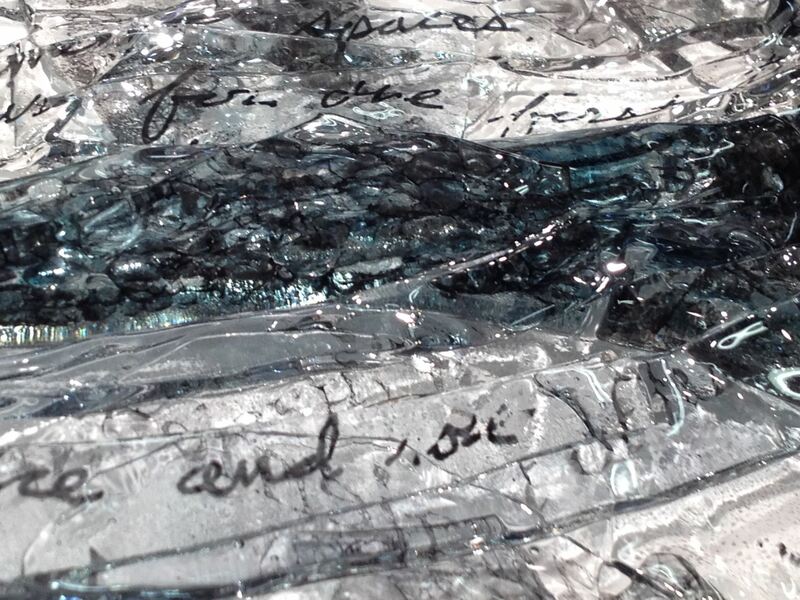 Through this work we explore how experiences shape a person and how language is a vessel for those experiences. 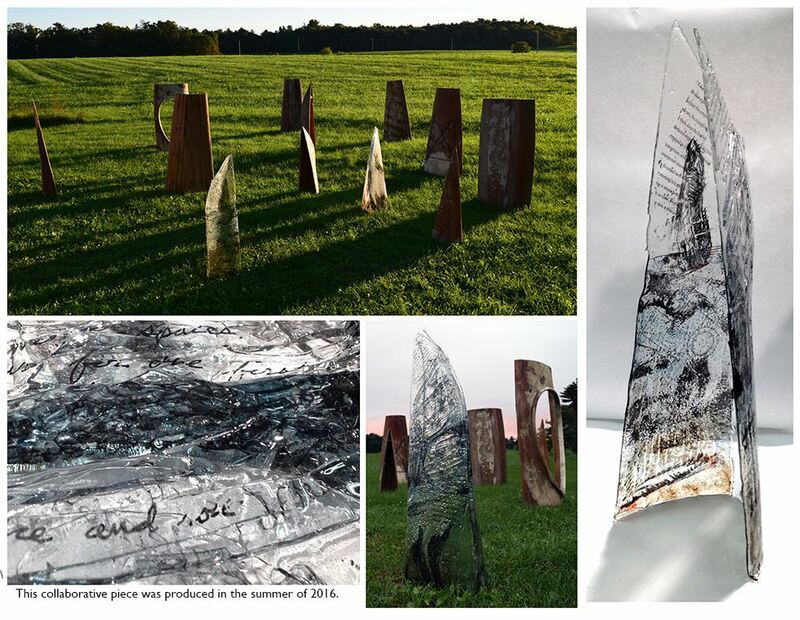 The work reveals connections by expressing conflict and one’s relationship to place, the ongoing effort of seeking balance and orienting ourselves, and asking viewers to consider the language we use to express identity.